In a sensational twist to the investigation into the misuse of co-location facilities of the National Stock Exchange (NSE) by select brokers (also known as the algo scam), the Central Bureau of Investigation (CBI) seems to have sidelined the powerful market regulator and has filed a first information report (FIR) on 30 May 2018. The FIR lists unnamed officials of the NSE, the Securities and Exchange Board of India (SEBI) and specifically names Ajay Narottam Shah, an academic who has worked exceedingly closely with the Finance Ministry, the NSE top brass and SEBI, for many years now. The nine-page FIR, filed on 30th May, is based on ‘source’ information; but it goes straight to the issues that SEBI officials have been shirking for three years, ever since I first exposed this scandal by publishing a whistleblower’s letter in June 2015, which was copied to me. In these three years, the main investigation into this issue was directed by the highly-regarded chairman of SEBI’s technical advisory committee (TAC), headed by Prof Ashok Jhunjhunwala. It is his determination to get to the bottom of the manipulation that ensured that the report was published without interference and existence of the algo scam established. The investigation was conducted by a two-member technical team handpicked from IIT-Mumbai which, initially, faced resistance and intimidation by some of NSE’s former board members. The TAC report brought out how NSE’s systems were compromised and confirmed that a few brokers could consistently access the trading system faster and profit from it. Other than this, SEBI limited itself to ensuring a change in NSE’s top management. Vice-chairman Ravi Narain, managing director Chitra Ramakrishna, and Anand Subramaniam, the group operations officer (who Ms Ramakrishna had appointed at the highest level bypassing all norms of the human resource department – HRD), were asked to go. SEBI also encouraged the appointment of a new chairman and public interest directors, although not everybody in NSE’s new team is truly independent and serving public interest. However, SEBI remained reluctant to investigate the many conflicts of interest, including family relationships that seem to have a bearing on the co-location scandal. The CBI has filed its FIR exactly a year after a second whistleblower (calling himself Jaime Jones) made some sensational allegations in a letter to the SEBI chairman (and a couple of journalists, including this writer). By going into the precise issues that SEBI has failed to investigate, it has left the regulator looking rather foolish and half-hearted in its actions. At a broader level, SEBI’s pussyfooting points to one giant problem – regulatory capture. On paper, SEBI is a powerful independent regulator, with extraordinary civil and criminal investigation powers, which include inspection, search, seizure, raid and arrest. However, in practice, the influential friends and supporters of the NSE among politicians, bureaucrats, academics and decision-makers have kept SEBI from acting decisively and almost eager to wind up the algo scam after having effected a change in the Exchange’s management. Nothing else explains why SEBI has been dragging its feet in a manner that benefits neither the NSE nor the capital market. Consider how things have unfolded. It all began on 19 June 2015 when I published an anonymous letter from a whistleblower who called himself Ken Fong. The letter addressed to BK Gupta, SEBI’s general manager in the Market Regulation Department. It was copied to me. It was a detailed account of how OPG Securities, that is named in this FIR (text at the bottom of the article), was getting access to co-location servers with lower traffic, giving them the ability to mint money through high-frequency algorithmic trades. When I asked the NSE and SEBI to react to the allegations, both chose to remain silent. I, subsequently, wrote a piece suggesting that high-frequency trading (HFT) needs a detailed probe and published the whistleblower’s letter. In response, the NSE slapped us with a Rs100-crore defamation suit and moved court seeking an apology and injunction against us from publishing anything on the issue. Justice Gautam Patel (a rare judge who read and understood the complex letter of the whistleblower) was unimpressed by the NSE’s reputation as India’s monopoly bourse and dismissed its Notice of Motion and imposed a cost of Rs50 lakh on the Exchange. The NSE filed an appeal, which was eventually withdrawn in 2017 with the Exchange paying the costs to us, and the two public hospitals, as ordered by the Court. 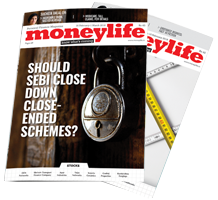 Following the initial order against the NSE, SEBI decided to respond to Moneylife. The then chairman UK Sinha’s office replied to one of my many emails and applications under the Right to Information (RTI) Act, filed with SEBI and the finance ministry, thanking me for bringing the issue to SEBI’s attention and saying that whistleblower’s letter was being investigated. Meanwhile, the whistleblower had sent two more letters and the NSE had filed an appeal against the court order in the defamation case against Moneylife. The third, addressed to me (which I forwarded to SEBI and the Finance Ministry), made some explosive revelations about Alpha Grep, a Singapore-based brokerage firm, having dark-fibre link (which gave faster access of a few nano seconds to the NSE’s systems to a particular brokerage firm allowing it to make huge profits). SEBI’s TAC looked into those allegations; but the regulator has yet to follow it up with specific action. SEBI’s only action so far has been to nudge the NSE into conducting consecutive investigations by two big global consulting firms (Deloitte and Ernst & Young), despite the fact that both had a potential conflict of interest, having handled major projects or consulting assignments for the bourse. SEBI ignored all the issues raised by the Jamie Jones letter which talks about conflicts of interest among senior employees, messy senior appointments that flouted SEBI regulations, patronage of academics and think-tanks that played a big role in promoting the NSE’s cause with the government. In fact, but for the CBI investigation, SEBI may have been happy to allow NSE to file consent terms and bury the scam. Things seemed headed that way last July after Vikram Limaye was appointed as managing director and CEO of NSE. A consent application filed by the Exchange was returned only in March 2018 after the CBI investigation gathered momentum. If SEBI comes across as a reluctant regulator, it is probably because NSE’s powerful connections remain just as influential even after the co-location scam. Ajay Shah, who has been named in the FIR, works with National Institute of Public Finance and Policy (NIPFP) and has been on every important committee of the government including the FSLRC (Financial Sector Legislative Reforms Committee). CBI’s FIR claims that he developed the Chanakya software for algo-trading that was used by the broker, OPG Securities, who got favourable access to NSE’s servers. So far, CBI has only scratched the surface of multiple problematic connections that are discussed by market circles. Other brokers mentioned by the whistleblower in connection with the dark-fibre matter do not figure in this FIR. This indicates that there will be more action from the agency in the near future. Those named so far include: Sanjay Gupta, promoter of OPG Securities Pvt Ltd; his brother-in-law Aman Kokrady; and Ajay Shah, along with unnamed officials from the NSE and SEBI. The sensational new element in the FIR is the allegation that Ajay Shah allegedly used his access to data as an academic to build an algo-trading software that gave OPG Securities an advantage. This is important because several other deep family connections are likely to be exposed as the case progresses. CBI has also alleged that Sanjay Gupta and his brother-in-law, were illegally trading in Dubai, Ghana, Singapore, Hong Kong and China through his firm. With CBI is taking over what is probably SEBI’s biggest investigation ever – after all, the NSE is a first-line regulator and near monopoly – where does this leave the market regulator? M Damodaran, former SEBI chairman, offers a nuanced, but important, view. He says, “Having seen reports of the CBI registering a case in connection with NSE's co-location issue, I hope SEBI's dealing with the matter is proceeding at the desired pace. It is important for regulatory credibility that SEBI takes effective action immediately. Since an Exchange is a first-level regulator, it must measure up, and be seen as measuring up, to the highest levels of governance. Failing that, SEBI must take quick corrective action." SEBI chairman, Ajay Tyagi, has a reputation of integrity and has initiated several positive initiatives at the regulatory body, while maintaining a very low profile. But he needs to realise that, unless SEBI is seen to lead from the front, it stands in danger of losing its stature as a specialist agency with the appropriate skill sets to deal with capital market issues. That will be sad for investors as well as market intermediaries. I do investments with my own study of scrips, both fundamental and technical. How split second decisions help someone to make money is beyond my understanding! but whatever has been achieved by OPG securities need to be undone if faith in Indian stock market should continue, failure to undo by SEBI or even if CBI investigation is compromised then Indian small retail investors will be big losers. The CBI FIR report looks unbiased and has addressed the important areas of manipulation by the suspects. Good work by our CBI Officials. Also, considering that the capital market is a machinery for the financial security of any country and its citizens wealth, any attempts to take unfair advantage of such a machinery and bring instability to a country's financial infrastructure should also be prosecuted as treason. Respected Editor, Appreciate all your efforts for bringing justice to many areas of public interest. I wish, If there was 1 person like Sucheta Dalal for every state in India. Also, I fail to understand, How do the academics from prestigious institutions like IIT, etc end up in all these unethical dealings and masterminding large scale corruptions, like the one on this article. All the intelligent people of this world are now looking into ways of accumulating ill gotten wealth. Human greed doesn't diminish after admission to IIT/IIM or any institutions for that matter. CBI has registered cases under criminal conspiracy, Prevention of Corruption Act and section 66 of IT Act. According to Moneycontrol.com, OPG Securities is in the centre of the ‘co-location controversy’ on the NSE, in which some brokers who had availed of the server co-location facility, got preferential access to the exchange’s trading system. These brokers had somehow managed to connect to the exchange’s back-up server, and hence could access the price feed faster, giving them an advantage over other brokers. It may be recalled that Moneylife was the first to expose this scam in mid-2015, for which NSE had filed a defamation case against us. A single-judge had penalised NSE for Rs50 lakhs for having filed a case against us. After filing an appeal against the order, NSE paid up the penalty. Meanwhile, in the wake of the scam, the top brass of NSE had to resign and a new management team took charge. OPG Securities, and which other brokers availed access of the back up server? Only OPG's mentioned in the article. Who are the other brokers? 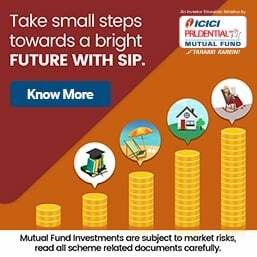 Private lender ICICI Bank on Friday said that Securities and Exchange Board of India (SEBI) has sought responses from the company and its MD and CEO Chanda Kochhar on alleged non-compliance of the "erstwhile 'Listing Agreement' and the 'Listing Obligations and Disclosure Requirements) Regulations, 2015'". According to a BSE filing, SEBI sought the reply via a notice issued to the private lender and its MD and CEO on May 24. As per the securities market regulator's LODR regulations, all listed entities are mandated to immediately disclose relevant and important information to stock exchanges. "The MD and CEO and the bank received a notice from SEBI on May 24, 2018... requiring responses on matters relating to alleged non-compliance with certain provisions of the erstwhile 'Listing Agreement' and the SEBI (Listing Obligations and Disclosure Requirements) Regulations, 2015'," the filing said. "The notice has been issued based on information furnished by the bank or its MD and CEO to diverse queries made by SEBI concerning dealings between the bank and Videocon Group and certain dealings allegedly between Videocon Group and Nupower, an entity in which Deepak Kochhar spouse of MD and CEO has economic interests." The bank said that appropriate responses would be submitted to SEBI in accordance with regulation. The SEBI notice comes more than a month after nepotism and conflict of interest allegations were levelled against Kochhar. It has been alleged that Kochhar had wrongfully granted a loan to Videocon Group and that her husband's company -- NuPower Renewables -- received a loan from the Videocon Group's Chariman Venugopal Dhoot on a quid pro quo basis. Chanda Kochhar on May 7 had said that private lender works under and abides by all regulatory norms and that it has been fully cooperating with regulatory and investigative agencies. On March 29, ICICI Bank Chairman M.K. Sharma had said that reports alleging nepotism by Kochhar were unfounded and malicious in nature. Saying that ICICI Bank's exposure to the Videocon Group (Videocon Industries and 12 of its subsidiaries or associates as co-obligors) for a debt consolidation programme and for the group's oil and gas capital expenditure programme aggregating approximately Rs 40,000 crore was less than 10 per cent. Sharma had asserted that no individual bank employee has the ability to influence decisions of the credit committee. He clarified that none of "the investors of NuPower Renewables are borrowers of ICICI Bank" and that Kochhar did not chair the committee that had lent to Videocon. In addition, Sharma said at the press briefing that Kochhar has been making all her disclosures in accordance with the regulatory guidelines under the Companies Act and the Banking Act. Sharma revealed that the bank has 'satisfactorily' replied to the questions of all the regulators, which he described as an ongoing process between "a regulated entity like a bank and the regulators and other government departments". In 2012, a consortium of 20 banks and financial institutions sanctioned credit facilities to the Videocon Group for a debt consolidation programme and for its oil and gas capital expenditure programme aggregating to approximately Rs 40,000 crore. Hypothetical-She will say Deepak Kochhar is not her husband and they had divorced due to personal reasons just a day before the loan was sanctioned to Videocon and as there were two loan applications by same name she has no knowledge of whose applicction pertains to her ex husband. Now Ramjethmalini fighting for the accused in the case is dismissed as Mr Deepak Kochar is independent person as on the date of on the loan application mentioned was and not brelated to Chanda Kochar and the loan is sanctioned stricly as per lawas it has passed through several layers of heirarchy and it is a collective decision of the board and no decision is taken in isolation.